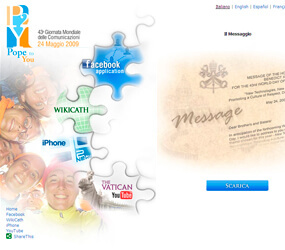 The new applications are part of a brand new Vatican Web site – www.pope2you.net – that was to go live on World Communications Day, which will be celebrated May 24 in most dioceses. Sponsored by the Pontifical Council for Social Communications, the new site was created to help attract young people to and spread Pope Benedict XVI’s message for World Communications Day, the head of the council, Archbishop Claudio Celli, told reporters May 18. “We thought that it was good to present the message to the young generation through technologies that they know how to use,” the archbishop said during a press conference unveiling the new site. “The pope is inviting us to promote a culture of dialogue, of respect and friendship,” especially among young people, he said. During his weekly general audience in St. Peter’s Square May 20, the pope said new communications technology has brought about a fundamental shift in how information is spread and how people communicate and relate to one another. Titled “The Pope Meets You on Facebook,” the new Pope2You application lets people send and receive “virtual postcards” of Pope Benedict along with inspiring text culled from the pope’s various speeches and messages. In conjunction with the Vatican Television Center and Vatican Radio, H2Onews will distribute audio and video reports exclusively through the iPhone in eight different languages, including Chinese. The news clips of the pope and the Vatican will be the same ones currently offered on the Vatican’s video channel on YouTube, unveiled in January. The main Pope2You site also offers a direct link to the Vatican’s channel on YouTube and a Wiki link that lets readers study the pope’s 2009 communications message. There is also a five-minute video presentation of Archbishop Celli explaining the new site and its purpose. 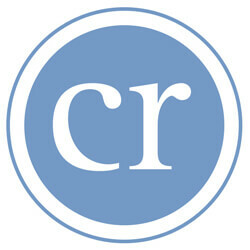 The archbishop said even though the new site was meant just to mark the occasion of World Communications Day Vatican officials are waiting for user feedback to see whether the site will become permanent. “Right now we don’t have a program or idea for the future (of the site), but if young people respond positively to the initiative then we’ll see what to do in the future,” he said. The site and its applications were developed by Italian Father Paolo Padrini, a diocesan priest from Tortona. He also helped develop the iBreviary application for the iPhone and the Catholic Facebook application called Praybook, which allows users to access and share with others traditional Catholic prayers and texts from the Liturgy of the Hours.